ConductRF provides two standard cable size options using our own cable; A28SS (ø0.086") & A29SS (ø0.141"). These cables are built with Multi-layer shielding consisting of a spiraled tape layer over which is a traditional silver plated copper braid. Together with a PTFE dielectric and an FEP Jacket, assemblies built with these cable can operate comfortably in temperature up to 125ºC. 1. 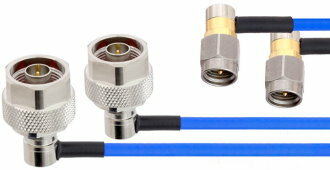 Using our two common cable types, let us know if you want an LSA28 (ø0.086") or LSA29 (ø0.141") cable.